Rosetta Cucchi enjoys a strong advantage over most directors active in opera today – she reads music and understands it. When she’s invited to stage an opera, she doesn’t play a recording first or buy a DVD. Instead, she sits down at the piano and plays the score straight through, beginning to end, to see what the music and libretto awaken in her imagination, to hear what the music is telling her she should do to tell the story, illuminate the characters, generate the action and engage the issues. Last Season Cucchi’s direction of Puccini’s La Boheme for Boston Lyric Opera proved so successful that the Company invited her back to produce Mozart’s Le Nozze di Figaro this year. During a pause in preparations last week, Cucchi sat down in the break room in the rehearsal space in the Boston Center for the Arts to talk about her unusual career as pianist and director as well as her ideas about Mozart’s opera. Cucchi comes across as lively and completely unpretentious; she’s confident and outgoing, and her ideas command attention. She apologizes for her English but doesn’t need to – she may occasionally have to search for the exact word she wants to use, but she’s a communicator, and her eyes, arms and hands can make a point hit home as clearly as any noun or verb; her mobile face radiates intelligence and good humor. She did study theater as a graduate student at university in Bologna, but her main focus as an undergraduate at the conservatory in her hometown of Pesaro, in Italy, was on the piano. Away from home, Cucchi went on to study music and the keyboard with prestigious pianists in prestigious venues like the International Piano Academy in Imola (Italy) – among her teachers were the legendary virtuoso Sergio Fiorentino and the outstanding soloist, chamber musician and accompanist Jörg Demus. In 1991, Cucchi became the staff pianist for the Radio Italiana Orchestra in Rome, her first fulltime job. She had the opportunity to work with several world-class conductors, but the job didn’t last long – within three years, Radio Italiana closed down the orchestra in an economy move. This bad news had a happy result because it led to a major transition in her career. She had staged several operas, accompanying them at the piano, and in the city of Reggio Emilia, in northern Italy, she directed a production of Leonard Bernstein’s Candide. Out of that experience came an invitation to become the rehearsal pianist for the important annual Rossini Festival in Pesaro in 1995. Rossini was born in that city on the shores of the Adriatic Sea, and even in his lifetime was known as “the swan of Pesaro.” The beloved soprano Renata Tebaldi was born there too, as well as Cucchi herself. During her seasons at the festival, Cucchi met many future colleagues, including the soprano Mariella Devia, the mezzo-soprano Sonia Ganassi, and the tenor Juan Diego Flórez – all of whom she went on to accompany in recital. With Devia she has appeared at La Scala in Milan, and indeed all over the world; recently she was reunited with Flórez when he sang his first Werther in Massenet’s opera, in a production she directed for him. By 1999 Cucchi had embarked on her own career as a stage director, first with a tribute to the definitive tango singer Carlos Gardel, but soon concentrating on opera – more than two dozen of them, so far. At home in Italy she began in smaller theaters but has moved into the circle of some of the most important, like the Teatro Comunale in Bologna (where she has directed both Donizetti’s L’Elisir d’Amore and Sondheim’s Sweeney Todd) and the historic La Fenice in Venice. She has also forged a close relationship with the adventurous Wexford Festival in Ireland where she has staged a series of unusual works, while also staging operas in Switzerland, Germany, Spain, Portugal, the Canary Islands, South America, and now the United States. Probably her greatest hit so far is her production of L’Elisir d’Amore which has been revived in multiple venues over the last seven years. Modestly, she describes the production as “cute” and says she set it into a high school. She describes the tenor as a “nerd” who pines for the most popular girl in the school, Adina, a cheerleader. A point of departure for the production of The Marriage of Figaro that Cucchi has devised in collaboration with BLO scenic designer (and Artistic Advisor) John Conklin is Billy Wilder’s classic movie Sabrina (1954). “The Marriage of Figaro is about different social classes and how they come into conflict,” Cucchi asserts. “We like to think we don’t have social classes anymore, but the fact is, we feel it more and more every day.” Sabrina was a rom-com; the heroine is the daughter of the chauffeur of an extremely wealthy family on Long Island. She is in love with a bachelor in the family who never deigns to notice her. She is rescued from a suicide attempt and goes off to attend cooking school in Paris. After couple of years in Paris, she returns as slim elegant, gorgeous creature with a fabulous wardrobe. 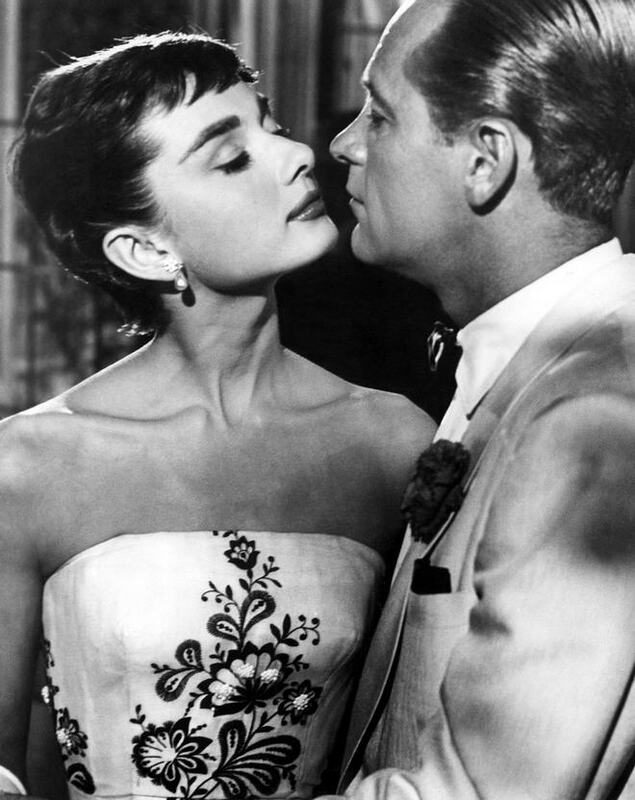 Now everyone notices her – after all, she’s Audrey Hepburn! But it takes her a while to know her own heart, to realize she loves Humphrey Bogart and not William Holden. So Cucchi’s Figaro will be set in a similar world of wealth and privilege – just as Beaumarchais had moved his original setting into an aristocratic Spanish castle in order to placate the censors in Paris. Peter Sellars found his equivalent in his once-notorious 1988 production of the opera which played here in Boston in 1991: he presciently set it in a sumptuous apartment in pretentious Trump Tower, which was only five years old at the time. Cucchi does not want to give away any of the surprises she will spring in the production, but delightedly reveals that there will be an homage to Sabrina when a tennis court will be unrolled. The play by Beaumarchais, on which Mozart and his librettist Lorenzo Da Ponte based their opera, was considered dangerously revolutionary in 1778 when it was written. The text was read to King Louis XVI of France, who called it “despicable” and said that any attempt to bring it to the stage “would be an act of folly – the Bastille would have to fall first.” Ultimately he did permit the play to be performed – and before long the Bastille did indeed fall, and the monarch himself went to the guillotine. Mozart and Da Ponte somewhat softened the political implications of the play, but did not dismiss them. Cucchi feels that Da Ponte “was a genius and a crazy man … like Mozart” and the opera is “very vibrant” on many levels. “It has a lightness and sparkle on the surface, but it is very deep beneath – an ocean of feeling, of sensuality, of love and betrayal. The Countess stands alone in the third act, for example, stands alone to sing her aria ‘Dove sono’ [one of the few moments in the opera where anyone is alone], and she is thinking about her own life. Sometimes she blames her husband the Count for her sorrows, but she also blames herself; somehow her soul has changed and she is full of nostalgia for the Rosina she used to be.” Cucchi agrees that in this respect the Countess is as self-aware as the Marschallin is in Strauss’ Der Rosenkavalier. Another dimension of the piece that is central to Cucchi’s vision of the piece is its sheer theatricality. She is intrigued by the interaction of the performers with their characters, so she has removed the usual barriers between “onstage” and “offstage.” “We will see the double lives of the performers, something the public never sees.” Doors and mirrors dominate the stage picture and the changes of scene take place in front of the audience; we will experience the performers both as themselves and as Figaro and his bride Susanna, the Count and the Countess, and the randy hormonal Cherubino. Even the stage crew will be visible throughout as they engage with the singers and the drama. 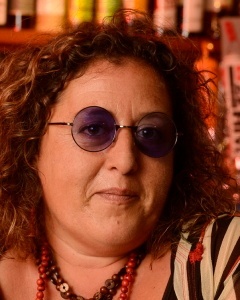 Cucchi’s future schedule is full but she does have several operas that she loves that she hasn’t had the opportunity to direct yet – among them Berg’s Wozzeck and Lulu, Janáček’s Katya Kabanova and, of course, a Puccini opera, La Fanciulla de West. This is an eclectic list – but the list of operas she has already directed is abundantly eclectic, ranging from Mozart’s Idomeneo to Ponchielli’s La Gioconda to Alfano’s Risurrezione. Speaking of a favorite colleague, the great singing actress Anna Caterina Antonacci, whom she directed in Poulenc’s monodrama La Voix Humaine, Cucchi describes her as “a 360-degree singer and artist.” For Cucchi, opera is a 360-degree art form, and she is rising to the occasion. 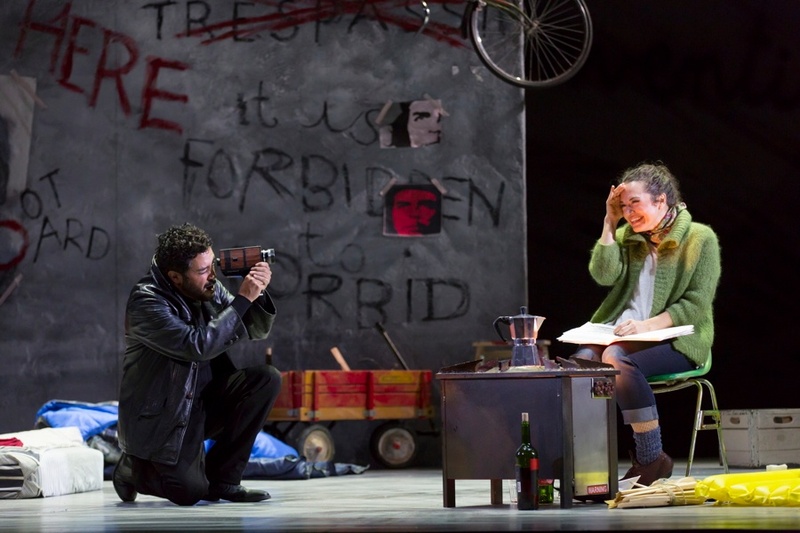 Images (top to bottom): Rosetta Cucchi; Rodolfo (Jesus Garcia) and Mimì (Kelly Kaduce) in Cucchi’s 1960s-set production of La Bohème with BLO, October 2015 (photo: T. Charles Erickson); Audrey Hepburn and William Holden in Sabrina (1954, Paramount Pictures).